Here's How: Jack Ledeboer shows David Kebely proper way to grip hickory at Ambler Junior League workout Saturday. Brad Taylor, Bob Fry, Mike Markovitch, Paul Garritt and Leonard Tillman, from left to right aid Ledeboer. 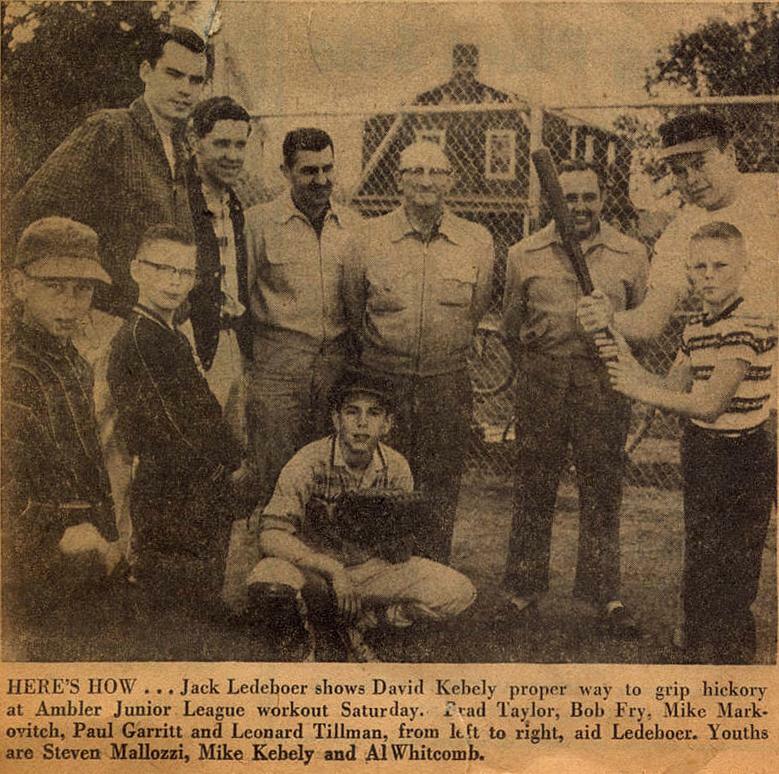 Youths are Steven Mallozzi, Mike Kebely and Al Whitcomb. Curious what year the baseball gods stopped calling the bat "hickory"? John Mastromatto sent these pics in of his family experience with AJB. His older brother Tom coached the Demons in the early 70's and led the Demons to 4 straight minor league titles. Over a 4 year span the Demons had a remarkable 45-4 record. What is more remarkable is Tom took the team over in 1970 after an 0-2 start. John played for the Demons in 1970 and younger brother Albert played for the Demons from 71-73. Championship game stats are available under Ambler Pride in Facebook. Thanks goes out to John Mastromatto for his contribution to AJB Glory Days. 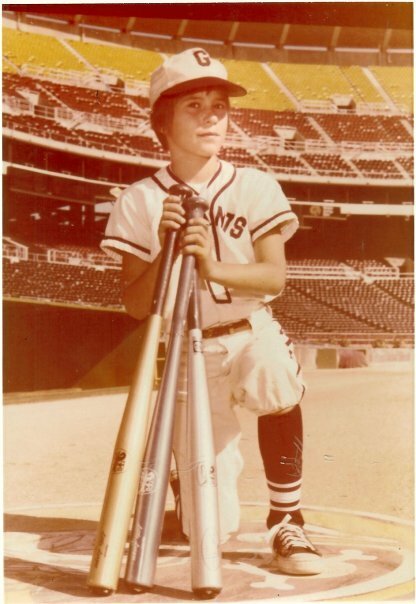 Bobby DelPopolo at Vet Stadium in 1976 at age 12. 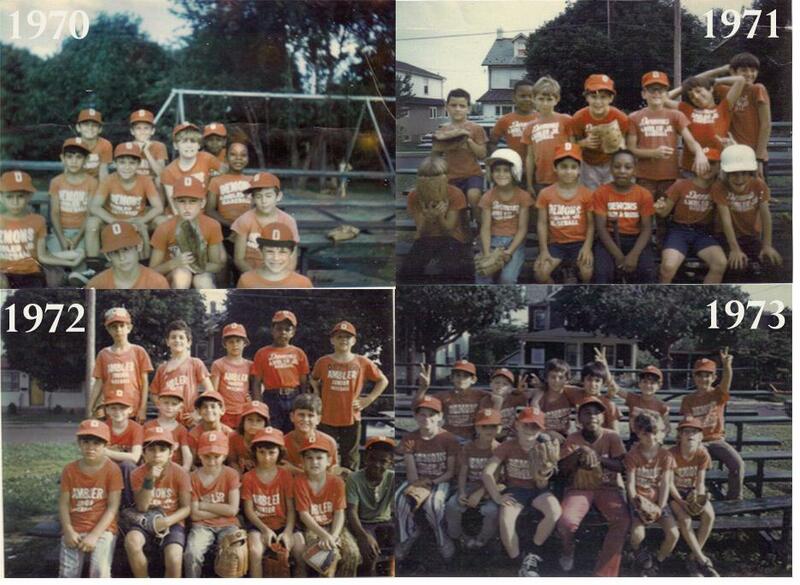 Bobby won the Ambler Home Run Derby, then won the Regional Home Run Derby, then made the Home Run Derby Finals. He finished 6th out of a total of over 100,000 kids. Just shows you how great the former AJB League Demons players were!!! 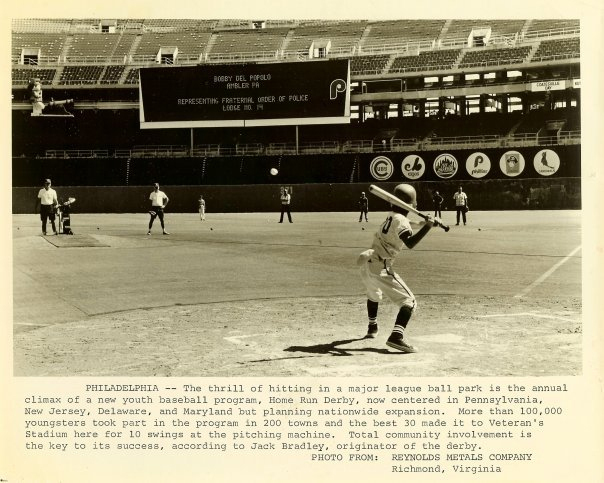 Bobby DelPopolo of Ambler at Vet Stadium in Philadelphia, batting during the 1976 Home Run Derby Finals. Notice his name on the scoreboard!